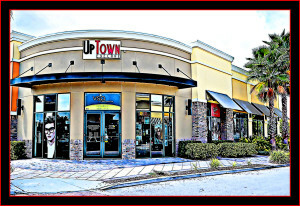 Uptown Eyecare was founded and established by Dr. Thomas Leidigh and his wife, Mrs. Tana Leidigh, Licensed Optician. He was in practice in the Orlando area for over 40 years. Tana worked side by side with Dr. Leidigh as his office manager and optician. Dr. Leidigh passed away in October 2014. Dr. Christopher McCann and Dr. Vanessa Morales McCann hope to continue the legacy of Dr. Leidigh. Tana Leidigh is still at Uptown Eyecare and loves helping our patients select the best eyewear and most technologically advanced eyecare products for their specific visual needs. 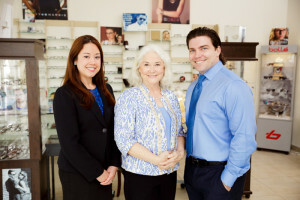 It is still a family here at Uptown Eyecare and we are happy to make you a part of it. Here at Uptown Eyecare, we not only care for our patients, we care about them.